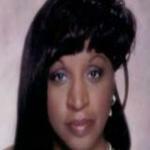 Pro General Comments: Hi Shirley -First of all, my apologies for the tardiness of finalizing this Pro Review for you. Ordinarily, I'm very punctual and get things finished on time, however about the time I would've ordinarily completed your review, I was in a major, near-fatal car accident which left me in the hospital for a few weeks and then in recovery / healing mode every since then - which has slowed me down considerably (temporarily). So, it's been because of this issue that I was late getting your review finished. I'm on the mend now though my apologies again.Thanks so much for bringing this song to my attention. I've enjoyed listening to it! This is like the James Bond theme that never was! (I love James Bond themes by the way).Overall, I really like your song, the production and nearly everything about it. The vocal is nice and works well with it and the mix was done well too so that things sit where they should between left and right and overall volumes of individual parts. I don't really have too many suggestions for you from the standpoint of production technique or the recording as that is all pretty solid. Depending on what you want to do with the song (pitch it as-is or try to get an artist interested in re-recording it in their style) would dictate what needs to happen with the lead vocal in my opinion. If you're going to pitch it as-is, I think the current vocal works fine, with perhaps a few lyric tweaks like you mentioned below. If you're thinking of having another artist record this song, sometimes it pays to have a demo singer that's closer to the artist style you're pitching to, so you might want to keep that in mind because you want the artist to identify with it being "their style" right away and not make them guess whether it would work for them or not. Quote From Pro: "Beautiful Hurricane" is the James Bond theme that never was! It's an excellent, emotional song that has much to offer that perfectly-matched spot in a Film or TV show.